Restless Nightmares Vol. 1 is now available for pre-order! 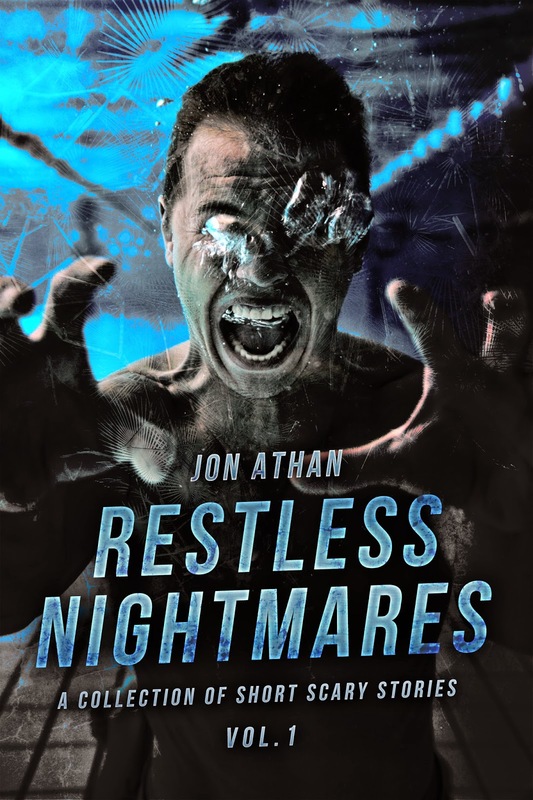 I'm very happy to announce my next book: Restless Nightmares Vol. 1: A Collection of Short Scary Stories. Restless Nightmares, like Tales From Under The Bed, is a horror anthology series. In this case, the stories will be more nightmarish – for lack of a better term. The book releases April 3rd, 2015, and you can pre-order it now on Amazon.com. As previously stated, Restless Nightmares Vol. 1 releases on April 3rd, 2015, exclusively on Amazon.com. You can pre-order the book at the special introductory price of $0.99 – that's less than a cup of coffee and daily commute! Once again, thank you for the support over the last few months. You readership is invaluable, I hope I can continue to entertain and frighten. Writing Updates for March 2015! Hello! Long time, no see! I know there's been a lack of updates lately, but I'm still here. I figured I should share some details on my current projects. Tales From Under The Bed Vol. 4 successfully launched on March 4th, 2015. That's the final chapter of the Tales From Under The Bed series. So... what's next? Tales From Under The Bed Vol. 4 out March 4th! Book sale! Hello, readers! Tales From Under The Bed Vol. 4 releases this upcoming Wednesday. To celebrate, Tales From Under The Bed Vol. 2 will be on sale for an entire week! It'll be an incredible 67% off! Down to $0.99 from $2.99! If you don't own this installment, now is your chance to get it. It's also your chance to pre-order Tales From Under The Bed Vol. 4! Make sure you get it as soon as it releases. Otherwise, thank you! Thank you for reading this blog and supporting the books. Your readership is invaluable, I can never thank you enough. I'll have updates on my next book soon, I can't wait to share.